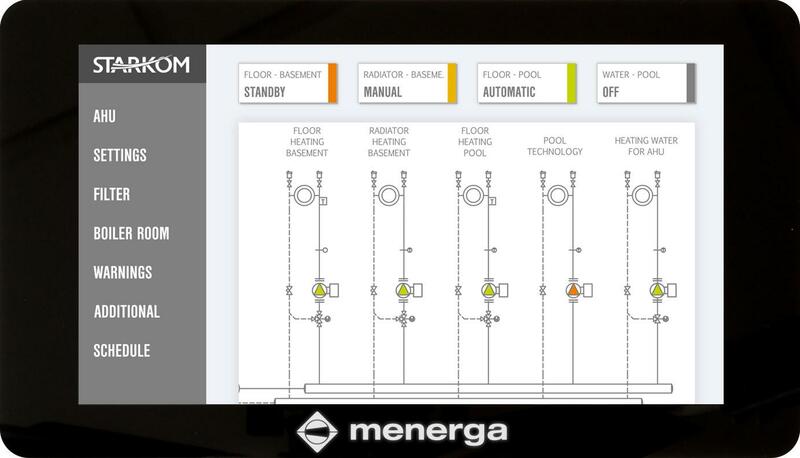 Menerga WebServer stands for a high-performance solution for regulation and control in automation of AC devices, ventilation devices, heating and cooling, boiler rooms, machine rooms, district heating stations, facilities for household hot water, pool technique, lighting, … This is a so called Web Building Management System or basically a Web SCADA (Supervisory Control And Data Acquisition) wit a far more simple, comprehensive and affordable way of regulation and control. 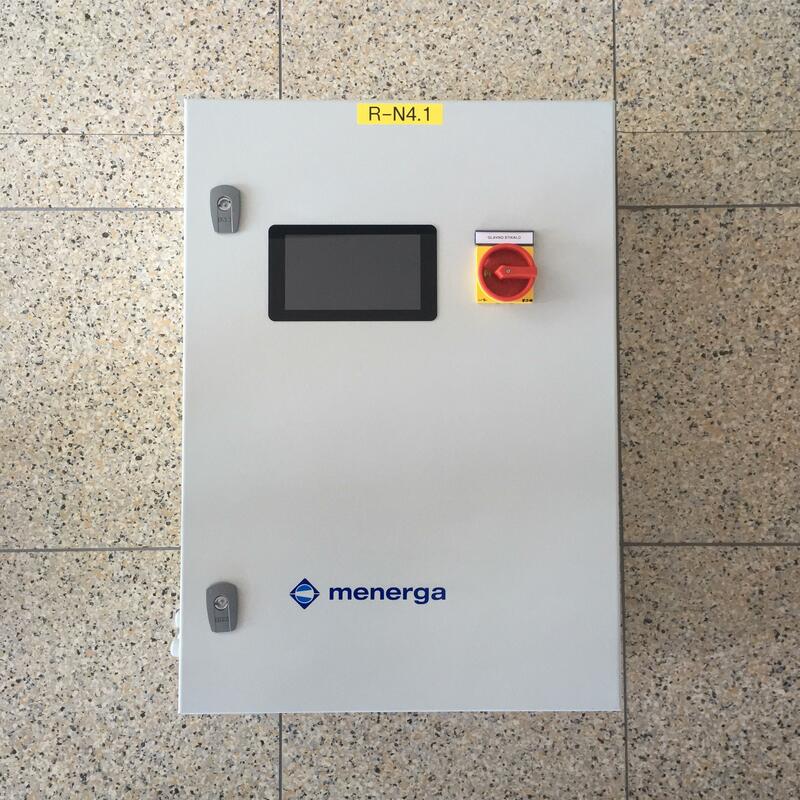 Menerga U-DDC controller with a WebServer module and a microcomputer with a touch screen and the name Menerga WebCapsule. Web user interface, programmed and connected according to optional requirements of the project. This includes a WebServer visualisation, which can be individually designed by the system integrator. You can choose between the default Menerga visualisation or the Menerga Dashboard (see figure) or any visualisation that the integrators can develop themselves or with our help. Example of an AC device from an optional manufacturer at Menerga WebCapsule microcomputer with touch screen. Display of detailed data (optional). Example: WebCapsule Web Building Management System on control cabinet. 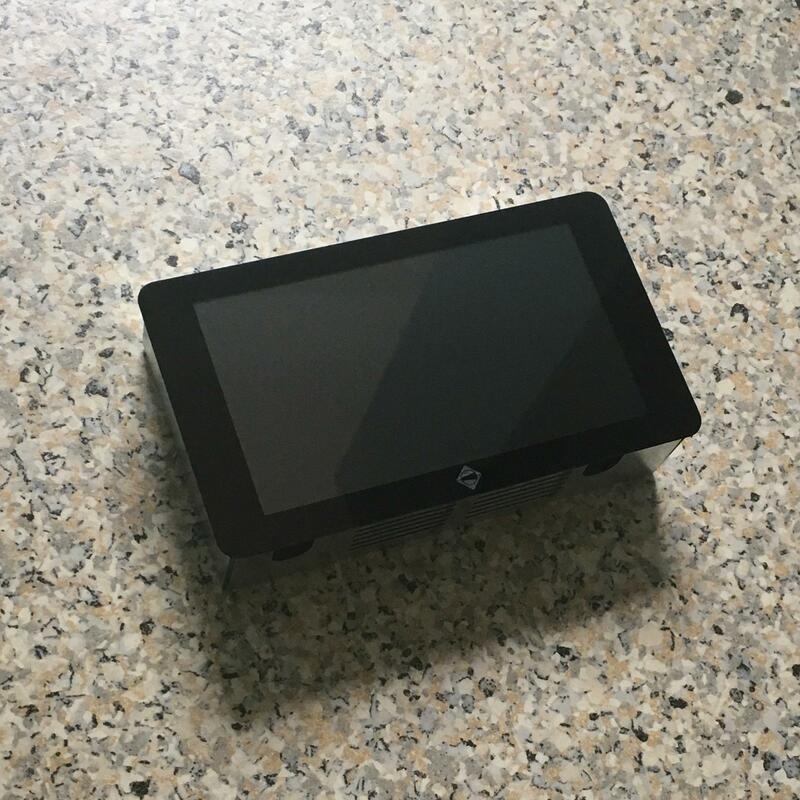 Independent hardware – any tablet, mobile phone, computer (Mac or PC). Protected access: Changes of target values, schedules, contact channels, etc. only possible with an appropriate code. Possible to create several user accounts with various access levels and depths. Adaptability: The WebServer with its capacity of a programming environment enables a high level of adaptability to project needs. 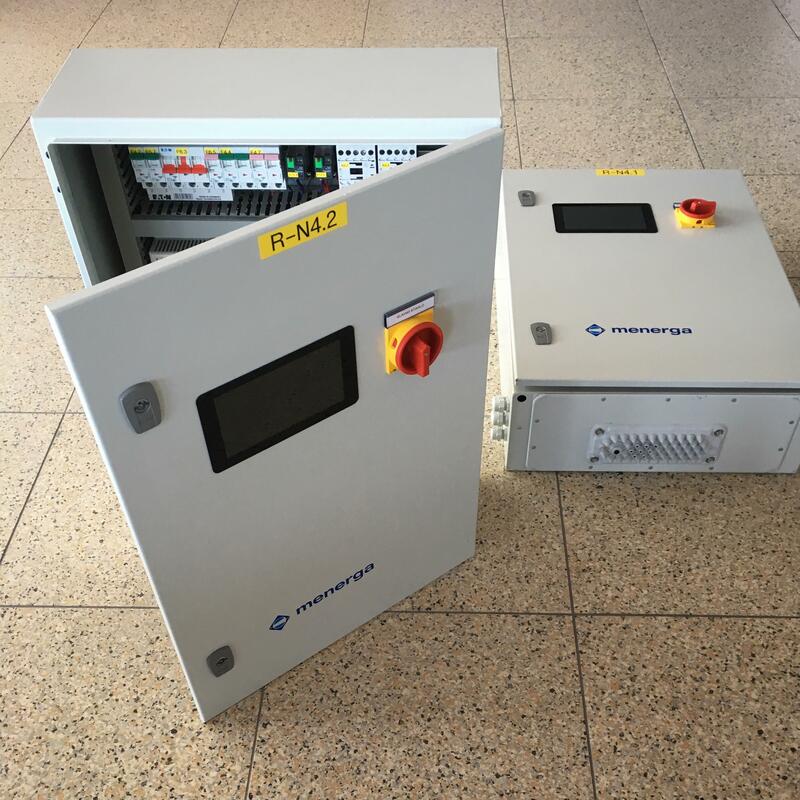 It enables flexible programming and updating with various modules. WebCapsule microcomputer with touch screen that can be mounted anywhere.